Oh, Winter. I love the beautiful snow and the holidays but one thing I do NOT love is illness. We have all been cycling through cold after cold and I’m so tired of it. But the thing that I hate the most is when my littles get sick. It’s so hard to listen to them coughing and crying at night because they feel so crummy. I sleep with earplugs (it’s an OCD thing) and my daughter’s room is pretty far down the hall from ours. So in order to hear her during these hard nights I have to use a baby monitor. 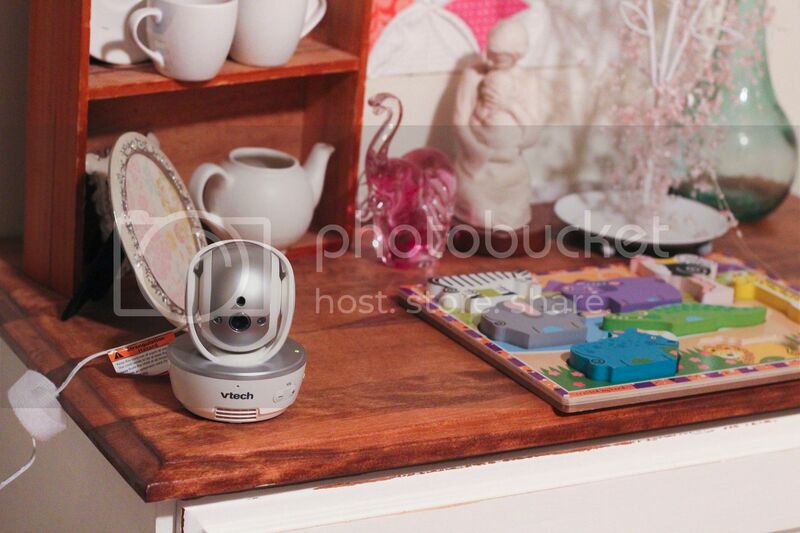 I got to try out this new one by VTech–the VM333 Safe & Sound ®. It’s pretty sweet, I have to say. It’s a video monitor and it has a pretty big screen to view–you can even zoom in. 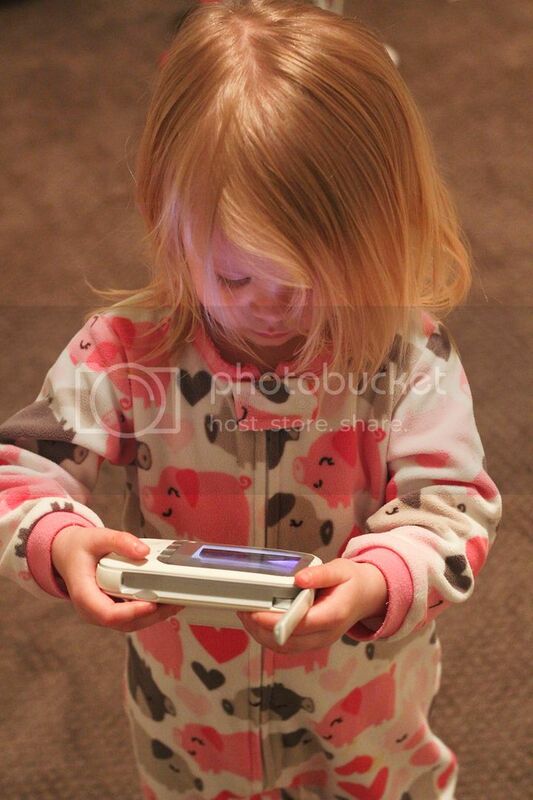 It’s really easy to use…just put in the batteries or the plug and turn it on. It has high video resolution and really great sound quality that can track up to 1,000 feet away. Look how clearly you can see my baby on this thing! 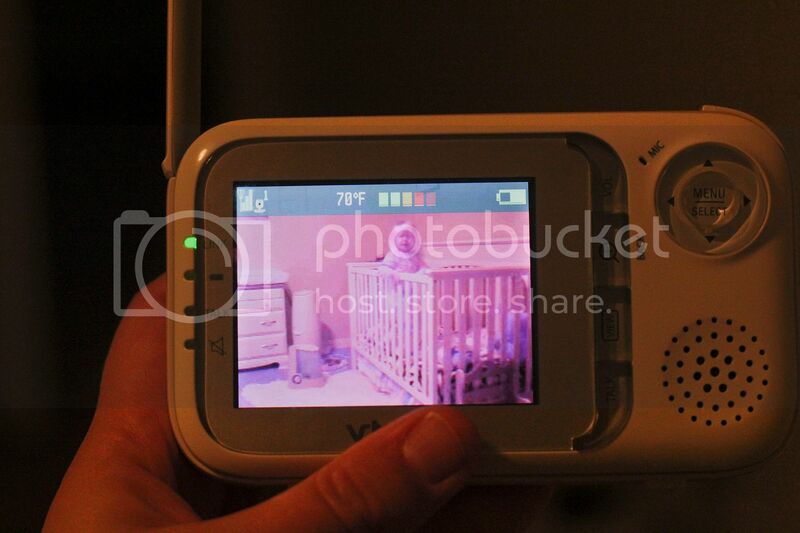 It’s much clearer than our old baby monitor. She was pretty fascinated by it and instantly claimed ownership.